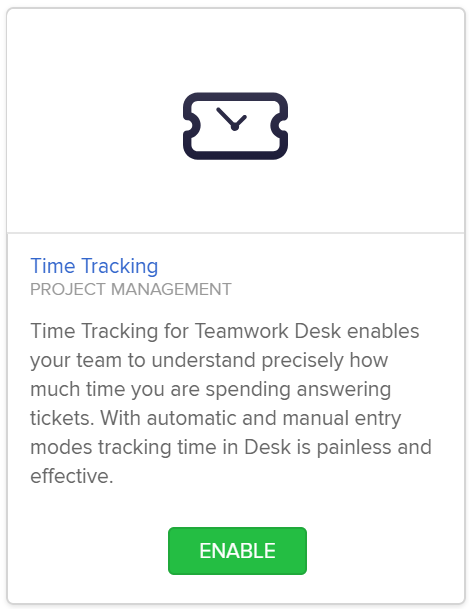 Within Teamwork Desk you can enable the time tracking feature to allow agents to log time on tickets. It also gives agents the ability to log billable time for the ticket to a project on your Teamwork Projects site. To enable the feature, click on your profile icon to the top right of the navigation bar and select Settings. In the settings area, go to the Apps tab and select Apps from the left pane. 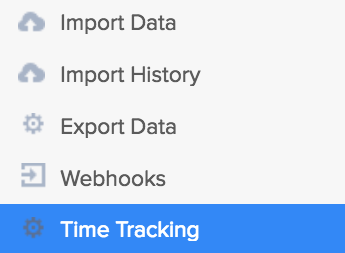 You will then see an option to enable the time tracking tool. Once time tracking has been enabled, you will be able to adjust the settings under the Company tab of your site settings. In the company settings, select Time Tracking in the left pane. 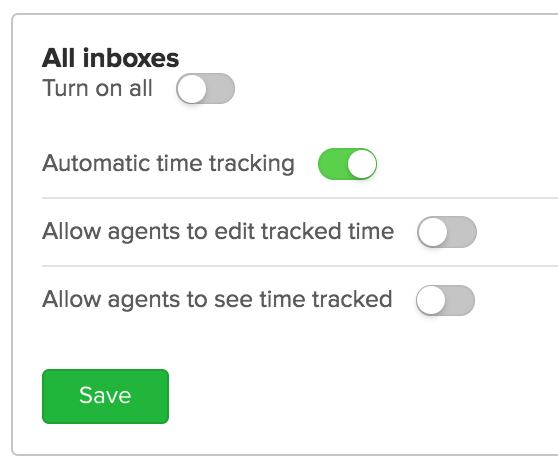 You can enable the same set of time tracking settings for all inboxes on your Desk site, or customize each inbox individually. Note: The selected settings will be enabled for all inboxes by default with the option to enable separate timer settings for each inbox by clicking on the checkbox for Customize tracking settings for each inbox.